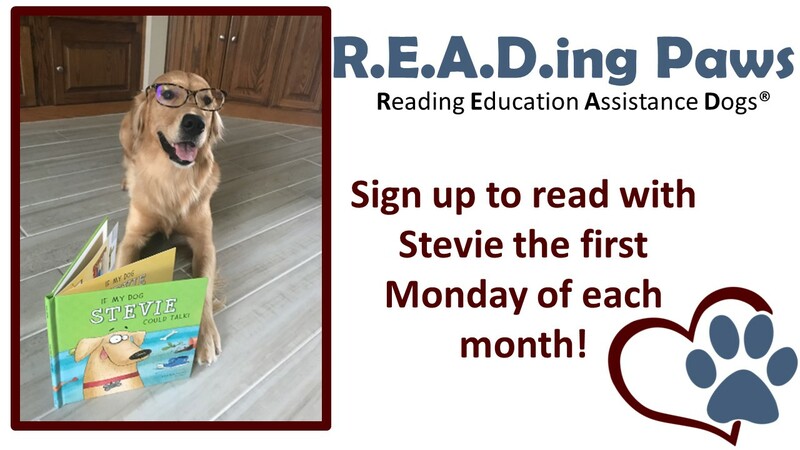 Come read with Stevie, a Reading Education Assistance Dog! Call or stop by to register at Linebaugh. Stevie will be here the first Monday of every month from 3:30 pm to 5 pm, and cannot wait to hear you read her a story.